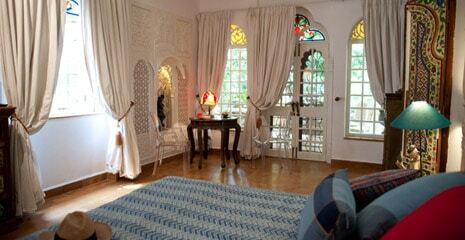 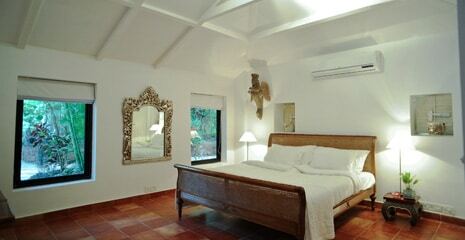 This luxury villa can accommodate up to 12 people in 6 double bedrooms with 6 en-suite bathrooms. 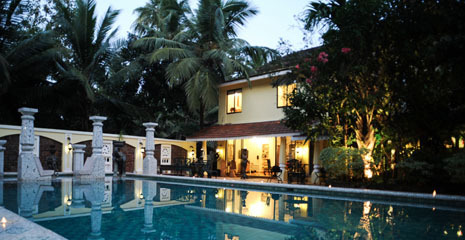 Nestled amongst abundant trees and a blooming garden, this beautiful Portuguese colonial house, with its grand entrance and long driveway, is a haven of tranquility just outside the popular town of Siolim. 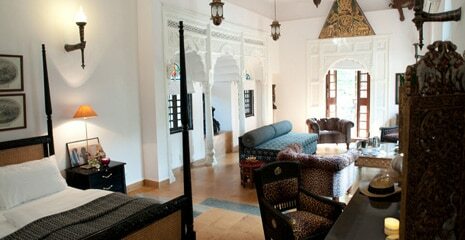 With its high ceilings and gorgeous architecture, this mansion oozes tradition and luxury. 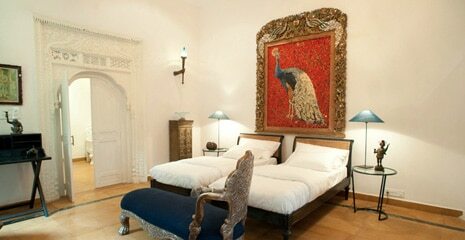 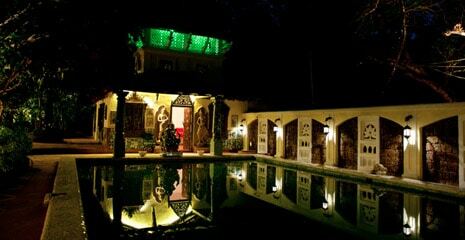 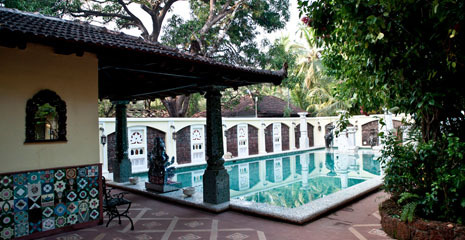 The home is filled with exotic statues, paintings and artifacts, embedding the property with a very unique character all of its own. 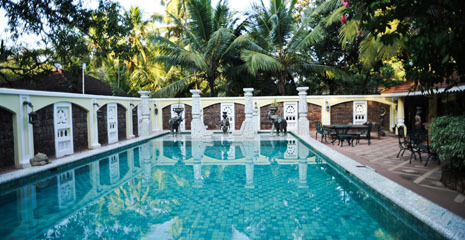 The villa boasts a superb swimming pool. 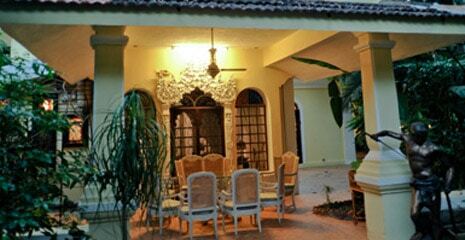 The property consists of 3 buildings next to each other. 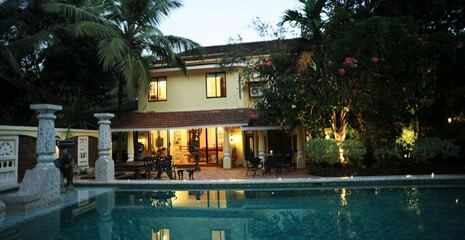 The main house, with 3 bedrooms, has a delightful large open plan living, dining area, fronted by large glass doors opening up onto the pool area. 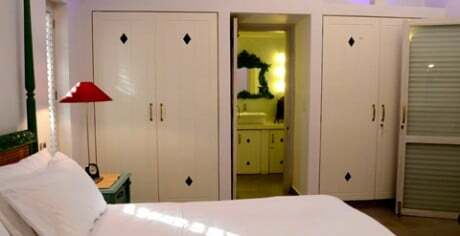 The pool side suite has a bedroom, bathroom, dressing room and bureau. 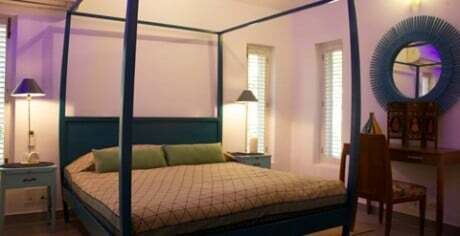 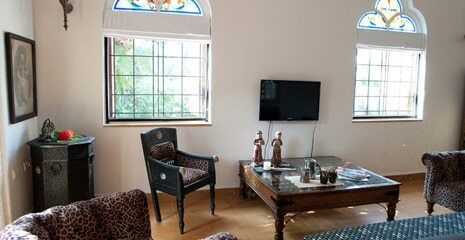 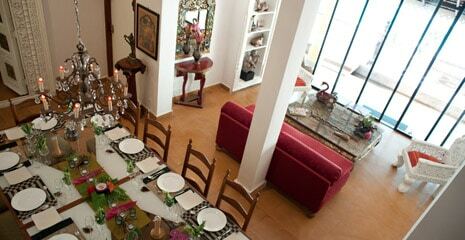 The garden villa has 2 bedrooms, a sitting room, kitchenette and 2 terraces. 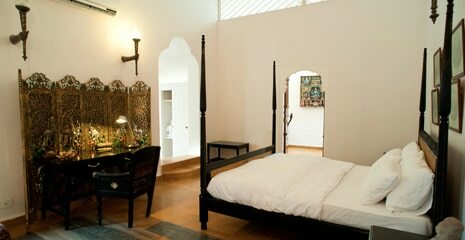 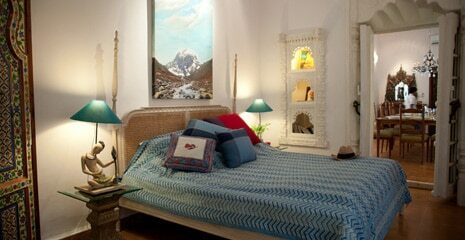 The property consists of 6 double bedrooms with en-suite bathrooms.